I dislike pretty much all breakfast foods…but now Berry Cheesecake Breakfast Smoothie, that’s alright! Just imagine a thick and creamy Cheesecake smoothie with frozen berries to taste like our favorite dessert? Can you raise your hand to a YES? 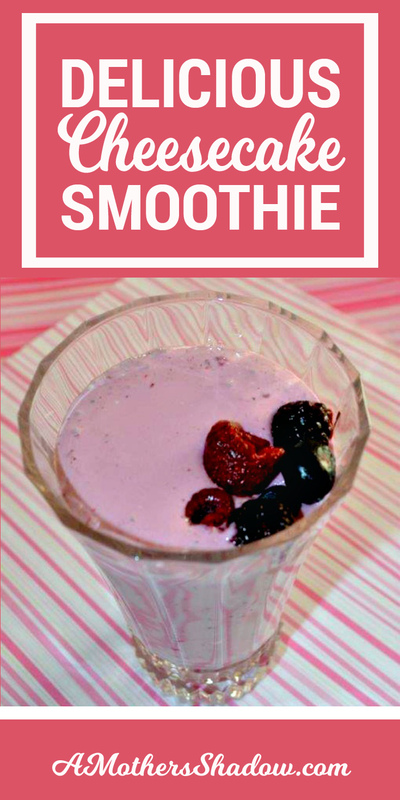 Of course we would to the glorious Berry Cheesecake Breakfast Smoothie! Well, as I was saying, I really I don’t like eggs cooked in any way, shape, or fashion. And believe me, ‘Sam I Am’ has tried:) I don’t care for the traditional breakfast fare either, though I’ve made plenty of it for my crew over the years. I’m actually famous for my Grandma’s pancakes (and these I will eat a couple off of the griddle). However, this amazing Breakfast Cheesecake Smoothie with berries is the best! 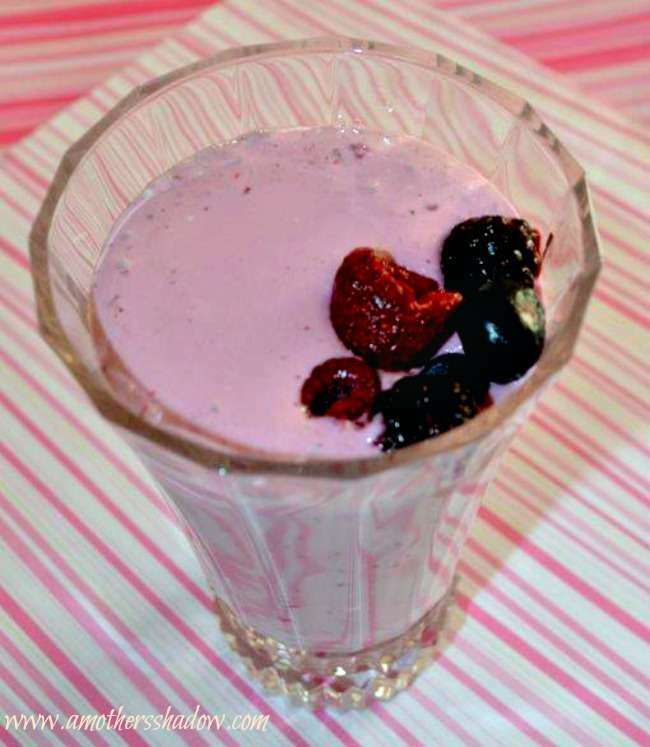 I like to use frozen berries, they are easy to have on hand so I can make this drink up anytime. 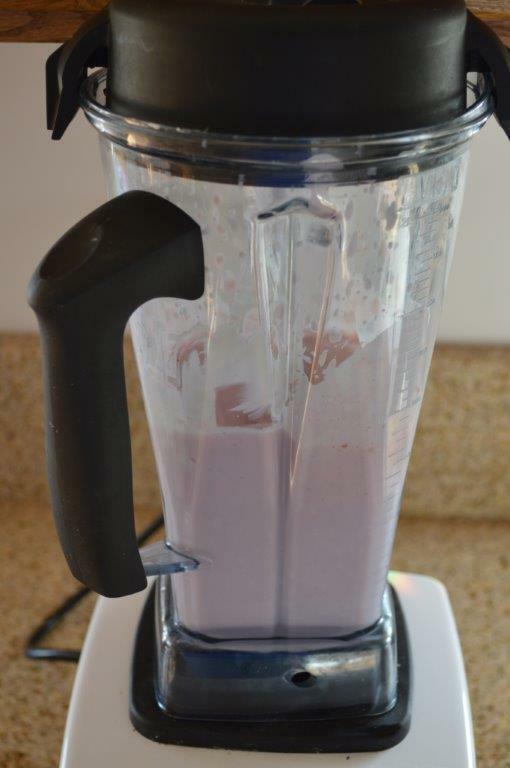 When I blend up this smoothie with the fruit and fabulous Greek yogurt – see all the healthy in here? The taste of cheesecake shines through….yummy! It only takes a couple of minutes, and a few ingredients to whip up for a terrific breakfast, a snack or just because you’re craving it like I do. In a food processor combine all the ingredients and pulse until it is well combined. Serve immediately.